Recording chain: R-122V’s to Prism Orpheus preamps, A/D at 24/96 into Digital Performer 5.13. 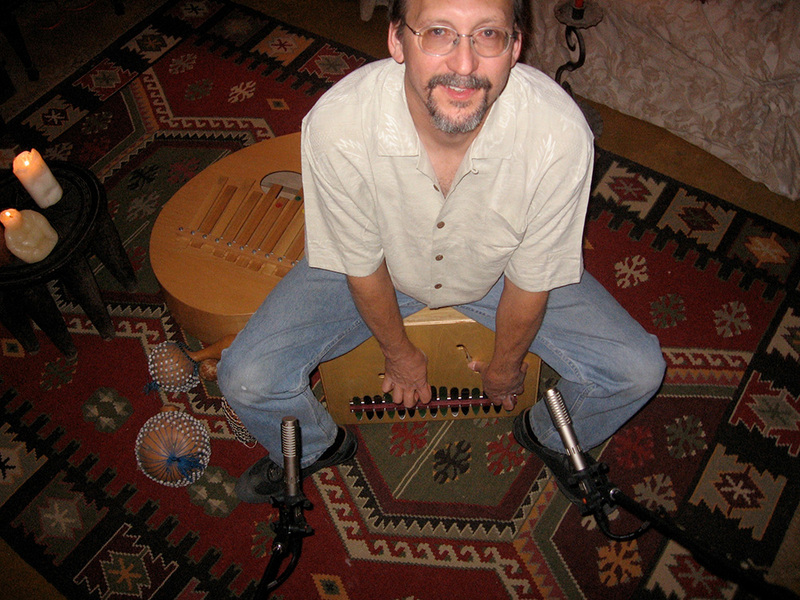 No EQ or compression. 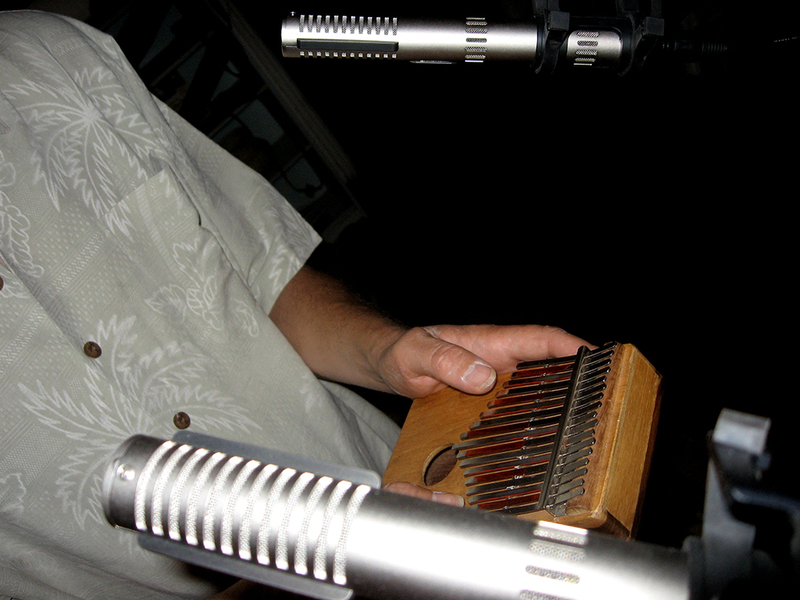 Kalimba: Two R-122V’s used on four tracks of Kalimba. 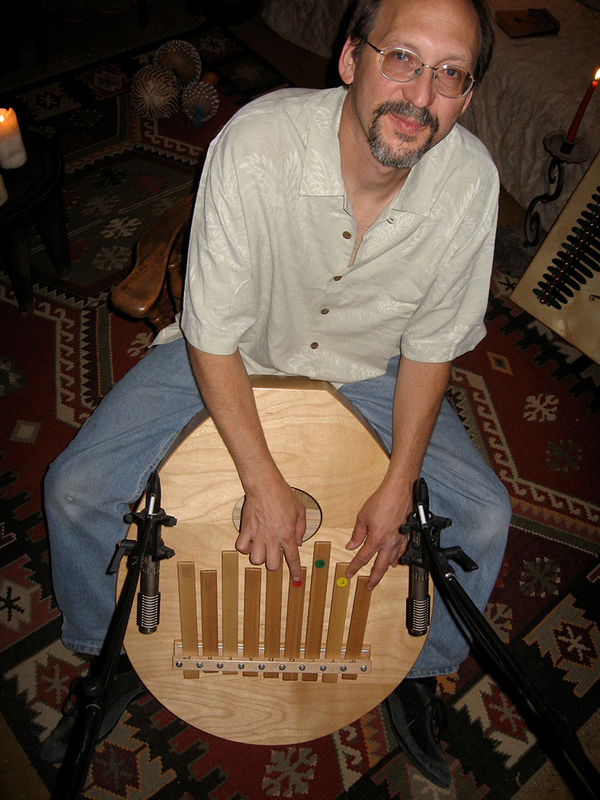 Positioned slightly off axis 6″ to 10″ from small Kalimbas. 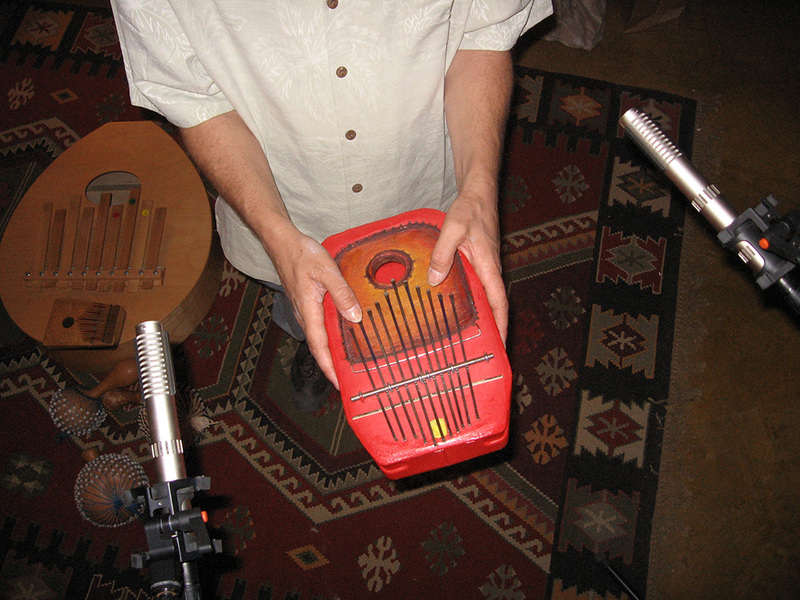 Two R-122V’s on Bass Kalimba, one at 6″ centered for proximity effect and one at 5′ directly above.